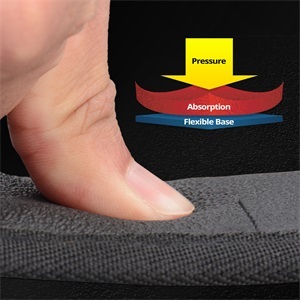 Tough and Water Resistant – Our soft bait binder is made from sturdy Dacron polyester material for long term performance and reliability. The resilient polyester material resists water to guarantee your tackle is protected rain or shine. A woven handle provides the strength to carry an over loaded binder and the durability to withstand even the roughest treatment over the long haul. 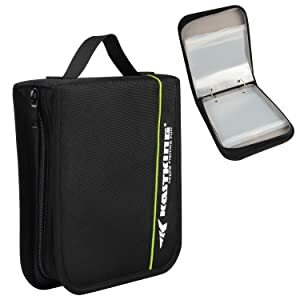 Adaptable design – The KastKing soft bait binder has the flexibility to adapt to your fishing situation weather you are fishing for bass, crappie, pan fish, catfish and more. They’re also great for storing terminal tackle such as packaged hooks, weights. 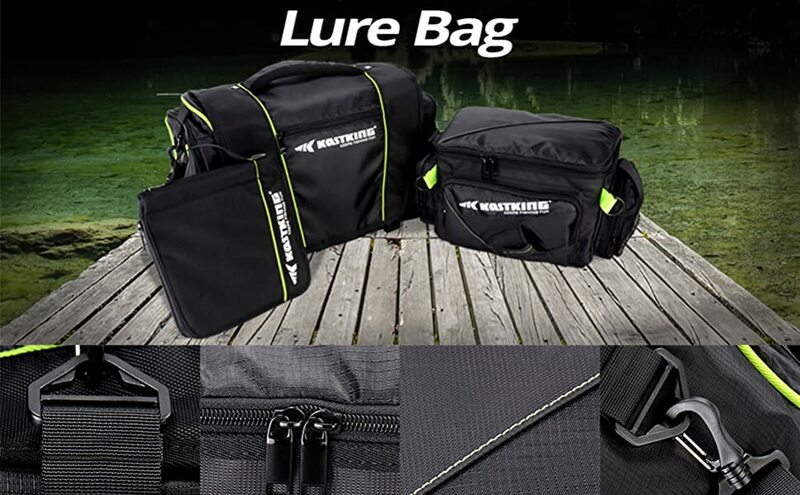 Tailor your bait assortment to fit the needs of the day for a short trip to your local pond or for organizing all the soft plastics in your boat with multiple binders. Quick Bait Selection – Transparent sleeves permit a clear view of the contents allowing for quick and easy bait or terminal tackle selection. 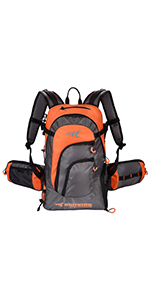 KastKing All-purpose Lure Bag KastKing multifunction carry bags are built for extreme outdoor adventure! Various sizes for all purposes. 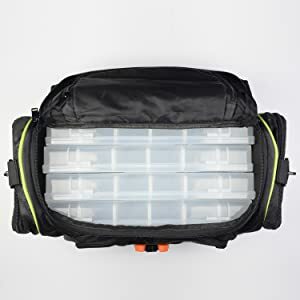 Amazing Dacron and PE material, heavy-duty construction, ultra-large capacity，waterproof inside, adjustable padded shoulder strap, special place for holding fishing pliers. 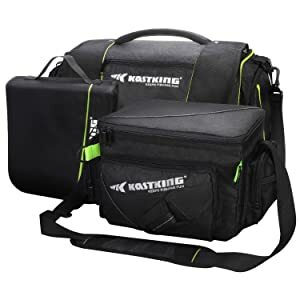 KastKing Lure Bags are perfect for: fishing trips as a fishing tackle bag, hiking, camping, almost any outdoor activities, or as an emergency go bag . 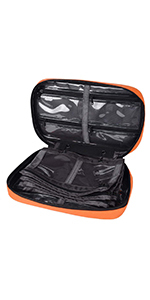 Use them to store and carry fishing reels, fishing lures, smart phones, fishing tackle, tools, even clothing and food. 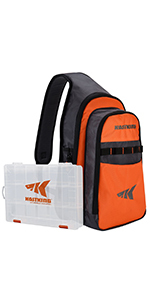 KastKing Lure Bag has three sizes. Large, Medium, and Small. 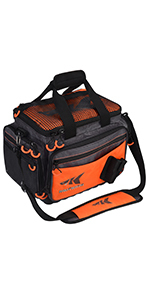 KastKing Lure Bags have plenty of space and tons of pockets. Mesh pockets for holding your cup or some items like fishing line with fast immediate access to fishing gear when you need it. Organizing fishing gear makes fishing more enjoyable. We feel that nothing gives better comfort and peace of mind during outdoor adventures than knowing where your gear is in a safe and secure carry bag. Whether you’re, fishing, camping, or traveling, or just out and about to have fun, we’ve got you covered! KastKing keeps fishing fun by keeping it affordable! 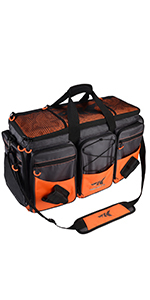 The Large Lure Bag can handle up to (4) 3700 trays in the large main compartment. 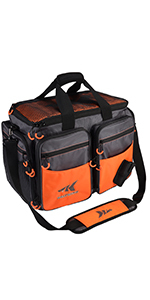 The Medium Lure Bag can handle up to (4) 3600 trays in the large main compartment. Transparent sleeves permit a clear view of the contents allowing for quick and easy bait or terminal tackle selection. This is far and away the best soft bait holder I have ever had or seen. 5 stars! 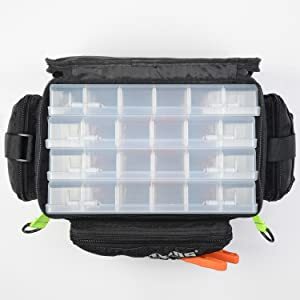 This utility binder works great for all of my crappie fishing tackle. It is well built and everything is easily accessible. Hold bags of plastic baits great! Sturdy and compact enough to take on the kayak as well as the boat.